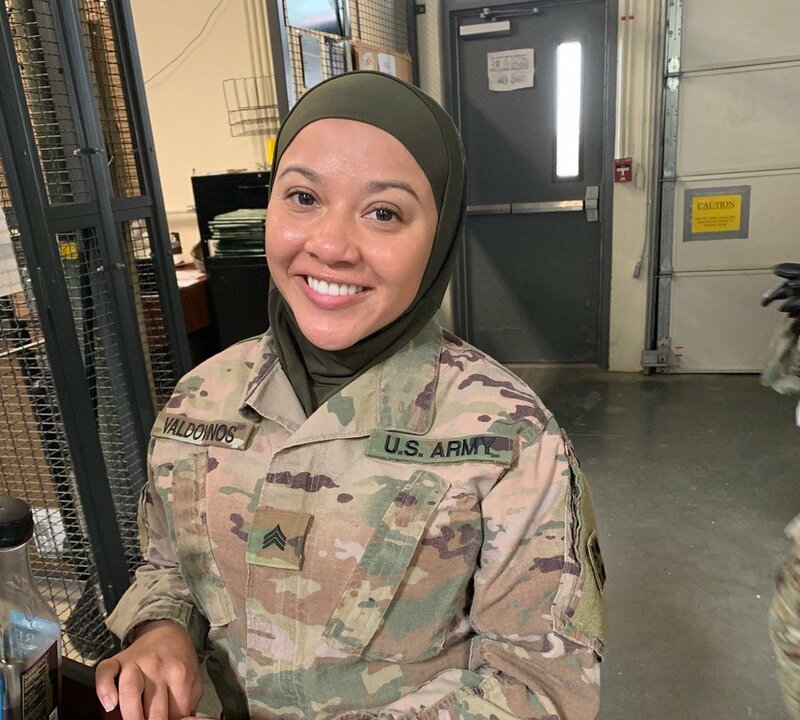 A Muslim woman enlisted in the United States Army will soon file a federal lawsuit against the military, citing that her First Amendment rights were violated when she was forced to remove her hijab in front of fellow soldiers. Sgt. Cesilia Valdovinos, 26, told Yahoo Lifestyle that the harassment began in June 2018 after she was approved to wear the hijab along with the military uniform by her brigade commander, Col. David Zinn. According to a 2017 rule, soldiers are allowed to wear religious headwear in alignment with their faith as long as they have written permission to do so. Valdovinos said that wearing the hijab has made her the target of foul attacks specifically aimed at her faith as a Muslim woman. Valdovinos is currently being represented by the Military Religious Freedom Foundation, also known as the MRFF. Valdovinos, who converted to Islam in 2016, said she was pushed to a breaking point after she was reprimanded in front of her colleagues during a suicide intervention briefing in Ft. Carson, Colorado on March 6, according to the Army Times. Valdovinos described an excrutiating and degrading encounter were she said the acting command sergeant (Sgt. Maj. Kerstin Montoya) grabbed her by the arm and forced her to remove her hijab in front of her colleagues.